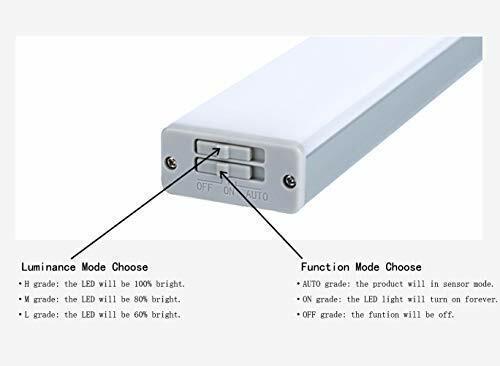 ✔【High Quality Led】We use the high-quality LEDs, the lighting is softer and comfortable, this LED lights is good for your eyes. 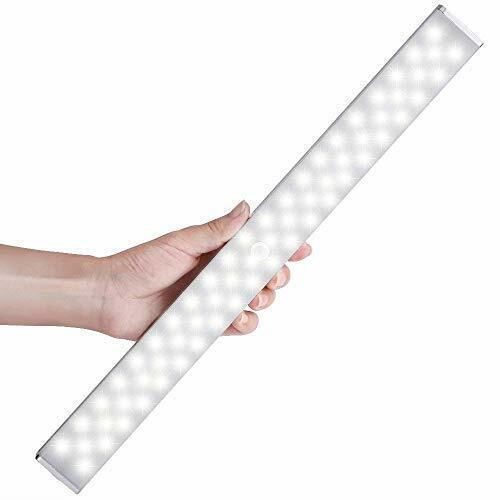 Contrast to traditional one line lighting, we adopt 3 lines lights, 68 LEDs, meeting your different needs. It will be brighter. Perfect to light up in a large or small space. 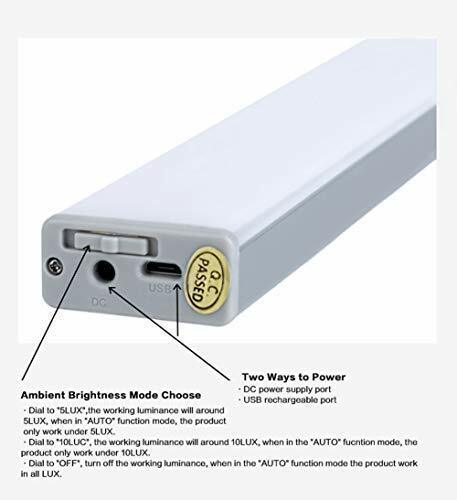 In order to help people to use it, we design the luminance mode. It is "M""H""L" separately, to adjust the light grade. 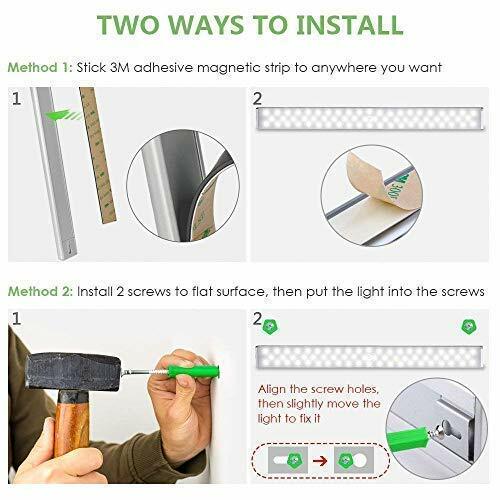 ✔【Easy to Install】Our Motion Activated Night Light Equip 3M Adhesive Magnetic Strip and Screws, Simple to Install by 2 Ways and Remove. Allows you to Change the Location of it or switch between Different Locations. 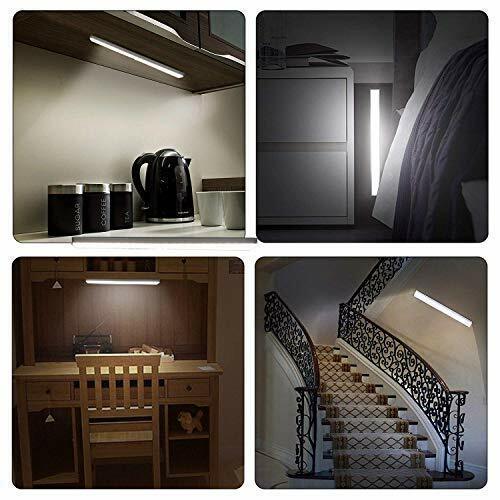 Ideal for your Home’s Bedroom, Closet, Cabinet, Wardrobe, Workshop, Basement, Garage, Stair, Corridor etc. ✔【Our Warranty】Providing the Best Quality Product and Best Customer Service is our duty. 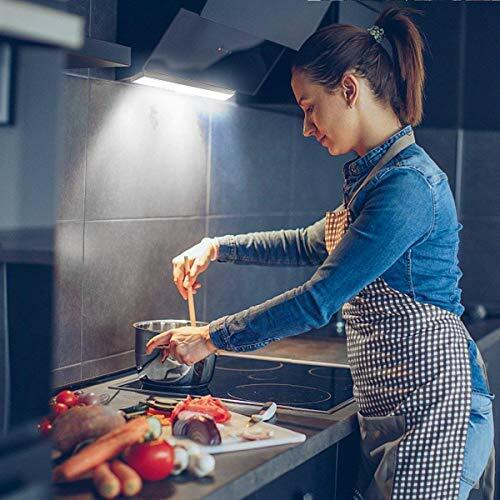 We offer a 30 DAYS MONEY BACK GUARANTEE and 12 MONTH WARRANTY for our WONDERFUL-HOME STORE's Lights. Purchase it now by click “Add to Cart”. We're using this in our kitchen pantry and it works like a charm. Plenty bright enough to help find all those hidden spices. Only issue is that motion detection doesn't always work but I think that has to do with where it is mounted. Overall good product that I recommend. It's definitely bright enough. We haven't quite figured out where we want it located as it's motion activated and our cats keep seeing it off where we've got it currently. Thus far it's working well, just user error issues about placement. Will update when we've had it longer about battery life and whether the bulb dims. 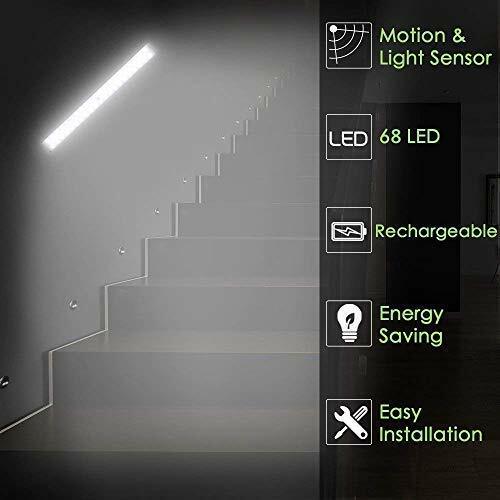 very useful , very handy, I could move around my house , basement, garage, with it with enough light. But some time I feel , it could be little brighter. Buy and Earn 1819 Points!